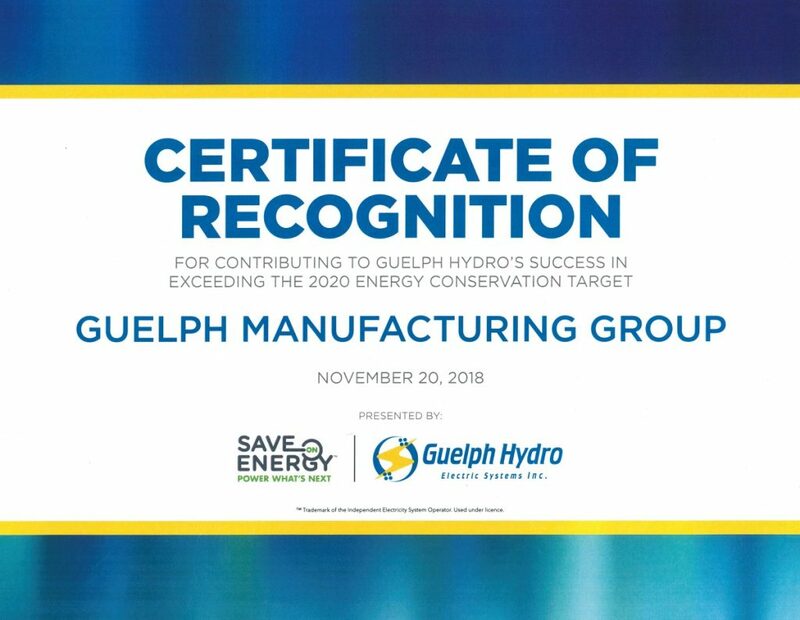 On November 20 2018 Guelph Manufacturing received recognition for its participation in the Ontario Save On Energy conservation program. Guelph Hydro, our LDC, has been assigned an energy savings target of 99 gigawatts hours (GWh) over the 2015-2020 time frame under the CFF. This allows Guelph Hydro and Guelph Manufacturing Group to utilize the portfolio of energy efficiency programs offered by the IESO. We have received your information and we will be in touch as soon as possible.